Rebecca Fitzhugh, VCDX #243, is a Technical Marketing Engineer with Rubrik. 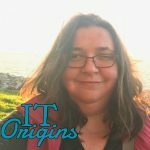 In the past decade, she’s been a Lead Systems Administrator in the United States Marine Corps and a freelance consultant. You can follow Rebecca on Twitter, LinkedIn, and her blog. I have been in tech for 12 years. My career began by my enlisting in the Marine Corps. My initial specialization was a highly secure messaging system (similar to email), which I was responsible for encrypting and decrypting these messages. So, I got to spend a lot of time in a TS vault. However, we were responsible for the entire data center stack; so even though I was a crypto person, I had to manage switches/routers/firewalls, SAN/NAS, the physical servers, Active Directory, DNS, the OS, the cryptographic devices, video teleconferencing equipment, and eventually VMware. When I separated from the Marine Corps after five years, I decided (at the urging of Brett Guarino) to be a freelance consultant focusing on VMware technologies. During this time I taught VMware courses and consulted on a variety of VMware products — from vCloud Director to vRealize to Horizon to vSphere. This was a lot of fun…until it wasn’t. Six years into freelancing, I found myself looking for a change which eventually led me to joining Rubrik last year. Automation and configuration management. There’s always been some level of scripting since I started but infrastructure automation has really taken off with tooling like Terraform, Chef, Puppet, Ansible, etc. Daaaaang (Editor’s Note: language), there’s so many ways to direct the answer to this question… rose-gold consumer products, $1000 smartphones, but I am going to say cybercrime compromising data. Yahoo is now synonymous with hacking, with breaches of hundreds of millions of user accounts (who knew that many people used Yahoo?). Not to mention the Sony hack of 2014, DDoS against Dyn, email hack of the DNC, and who could forget the WannaCry and Petya ransomware attacks? Don’t forget Equifax. The worst part is that it’s only going to increase as there are more devices connected and more data being generated than ever before…even our thermostats are connected! Needless to say, it is paramount to secure our data centers (and smart homes). Infrastructure as Code – it is more than just writing a script. It is about taking successful application development practices and applying them to infrastructure. Concepts like version control, using design patterns, test automation, etc. Effectively, it is enabling us to write code in more competently manage our infrastructure. Infrastructure as Code brings the benefits of automation, such as quicker, easier, and more reliable execute to the deployment, provisioning and configuration of servers and other infrastructure components. High levels of automation in the data center means that we can spend more time and money on solving business problems, rather than maintaining systems and performing tedious, repetitive tasks. In my home office, I have a dry erase top standing desk. It’s convenient to jot down quick notes right on the desk instead of searching for a post-it note or piece of paper. There’s an 8ft x 4ft dry erase board hanging up for me to brainstorm or map out ideas or projects. I also have a 2×4 Kallax unit from Ikea to organize IT books and whatever records I am spinning while I work. My team at work uses Trello for organization and task status tracking. It’s an extremely useful tool, especially when taking advantage of all the power-ups for Slack, Github, Confluence, etc. I constantly make checklists so I use Todoist to sync and keep track of my checklists across multiple devices. Besides Todoist, I am an avid user of Spotify. Unless I am in a meeting, I am always listening to music while I work. I prefer the Google Calendar app over the native iOS calendar. Additionally, I am a big fan of Quizlet. I use it frequently when I am study. I am a huge music nerd. I try to go to as many shows as I can, collect records, and play various instruments when I have the time. I also love to travel. I am always planning my next trip! But, I would have to say that my favorite thing to do is to hang out with my niece and nephew. I need to improve my Nintendo Switch skills…I’m tired of losing to an 8 year old. Intravenously — erm, I mean I take caffeine pills to cope with jet lag. I have never been a coffee person and I try to avoid soda, though I have my moments where I give in. Big fan of tea, I usually drink it each morning. Nick Bowie and Karen López. It’s not a failure unless you give up. I’ve never been one to give up with the going gets tough. But, somehow, I managed to make it all the way into adulthood without ever failing at anything. And let me tell you…I was ill-equipped to fail my first certification exam. A long-time friend and colleague, Brett Guarino, told me to get over it and try again. Nothing worthwhile is ever easy, it’s ok to fail as long as you get back up and try again.